One of the best ways to save money on gaming 5 Genius Ways to Save Money on Gaming 5 Genius Ways to Save Money on Gaming Gaming doesn't have to be a bank-breaker. Read More is to share games with others. On a console, you can share discs. But this doesn’t really apply to PC gaming. Thankfully, Steam’s Family Sharing feature is a free and simple way to share games with trusted friends. Here’s how to set it up and a few important points. Note: These steps require you to log in to the person’s computer you want to share with. If they don’t live close, you can provide them with your login info to complete the steps instead, but you should only use Family Sharing with those you trust. 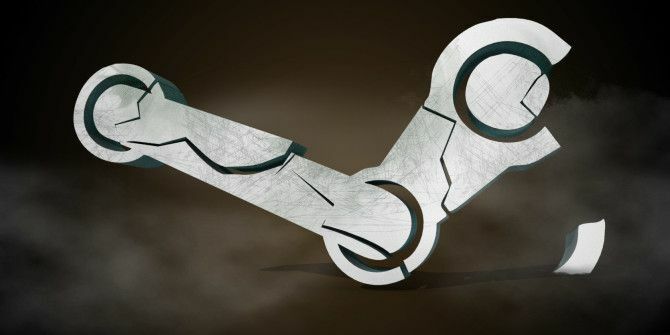 Never provide your account info to strangers Steam Scams To Watch Out For and How to Stay Safe Steam Scams To Watch Out For and How to Stay Safe The only downside of Steam is the potential for ne'er-do-wells attempting to scam you, be it for games, items, or cold hard cash. Don't fall for their scams! Read More ! Log in to your Steam account on the computer where you want to share your games. Open Steam and click Steam > Change User… to log out of your friend’s account and into yours. Once logged in, visit Steam > Settings > Account and make sure that you have Steam Guard security enabled. Turn it on if it’s not already. Navigate to the Family tab of Settings. Check the Authorize Library Sharing on this Computer box. Check the boxes next to the accounts you want to share your games with. Log out of your account and let your friend log back in. You cannot share individual games. When you perform the above steps, you authorize the guest to play any of your games. Only one user can play at a time. If your friend is playing a game and you jump online to play any game you own, they’ll have a few minutes to either buy the game themselves or quit. Some games don’t work with sharing. Certain games won’t work with this feature. You also cannot share DLC if the borrower owns the base game. You can authorize sharing for up to five accounts and ten devices. Have you ever used Steam’s Family Sharing feature? What games have you enjoyed on Steam recently? Tell us down in the comments!